Michael D. Randall - Professor of Pharmacology, School of Biomedical Sciences, University of Nottingham Medical School; David A. Kendall - Professor of Pharmacology, School of Biomedical Sciences, University of Nottingham Medical School; and Stephen PH Alexander, Associate Professor in Molecular Pharmacology, School of Biomedical Sciences, University of Nottingham Medical School. Are your exams coming up? Are you drowning in textbooks and lecture notes and wondering where to begin? Take the FASTtrack route to successful study for your examinations. FASTtrack provides the ultimate lecture notes and is a must-have for all pharmacy students wanting to study and test themselves for forthcoming exams. 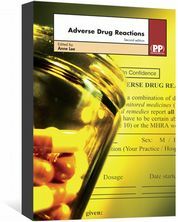 FASTtrack: Pharmacology aims to provide a brief account of drug action, as a study and revision aid. In doing this, the authors have generally taken a therapeutic area and considered the major classes of drugs, their actions and, to a limited degree, their uses. 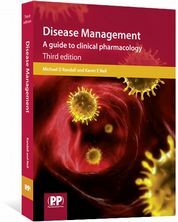 There are many excellent brief guides to pharmacology and so their second aim is to present a study guide which deals with molecular pharmacology at a more advanced level, so that the book is also useful for advanced pharmacology studied in the later years of pharmacy and science degrees. This study guide is therefore useful at each level of undergraduate study. Greater use of summary tables. 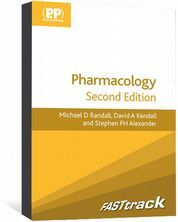 FASTtrack: Pharmacology is also available as an ebook. Visit the FASTtrack website for more MCQs from the FASTtrack series. 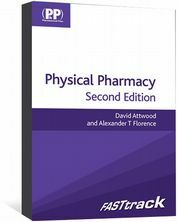 ...Undergraduate pharmacy students, as well as other healthcare students, will find this a useful guide to help prepare for examinations." ...my own daughter who is a 4th year Medical student said she would buy it, an endorsement indeed!" Attwood, David; Florence, Alexander T.